Brayden Automation Corporation (BAC) continually strives to support various agencies and programs within our community that work towards the betterment of youth, reducing poverty, and increasing energy efficiency. We were recently presented with an opportunity to go beyond our local community and support a program abroad that utilizes all three of these missions, and we couldn’t be more excited about helping this organization! 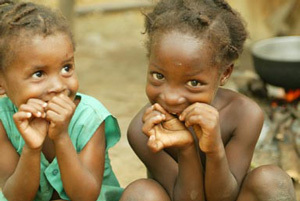 The Hands & Feet Project (H&F) works to provide and care for orphans and abandoned children in Jacmel, Haiti. Started by the band Audio Adrenaline in 2004, they now care for over 80 children ranging in age from newborns to teenagers. They are currently working towards adding additional housing to support an even larger number of children, and hope to care for over 1,000 children in the next five years. About a year and a half ago BAC launched a residential pilot program in Winthrop, WA with Okanogan County Electric Coop. 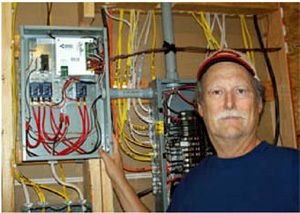 Ray Peterson, one of the residents who installed an Energy Sentry in his home, became very involved with the program due to his existing commitment to managing his own electric use. In addition to working closely with the Co-op on the demand management program, Ray has taken great interest in the crisis in Haiti. He visited the Hands & Feet orphanage at the beginning of March, and continues to be very involved with the organization. 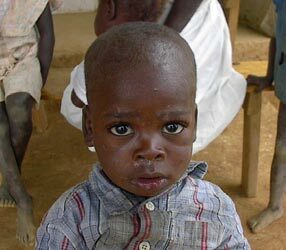 So much so, that he contacted BAC about possibly helping with the energy issues at the orphanage. After some discussion with President Bill Brayden on the needs of H&F, BAC has enthusiastically decided to donate all the equipment necessary to control the orphanages electric loads. BAC will configure the units to additionally be used in Time Of Use (TOU) mode, in order to assist with the unstable power availability of the local utility company; Electric d’Haiti. Power is usually avalailable between 2pm-2am, and from 2am -7am the orphanage runs on battery power. However, this can easily be consumed before 7am so electric use is minimized at this time, including shutting off all A/C. From 7am-2pm the orphanage runs off a diesel generator. Efficiently managing H&F’s electric loads is crucial to ensure the batteries are kept at maximum capacity to compensate for the volatile power supply. BAC anticipates that the project will result in an even greater understanding of how Energy Sentry products can be used to assist other organizations with unique circumstances that are trying to improve their energy efficiency while reducing their electric costs. We look forward to hearing more about the development of the Hands & Feet Organization, and will update you on their progress in the coming months! Click here if you are interested in learning more about H&F or would like to donate to the organization. Next Article: Why Should You Care about Demand? Using Solar & Demand Control to Save BIG!